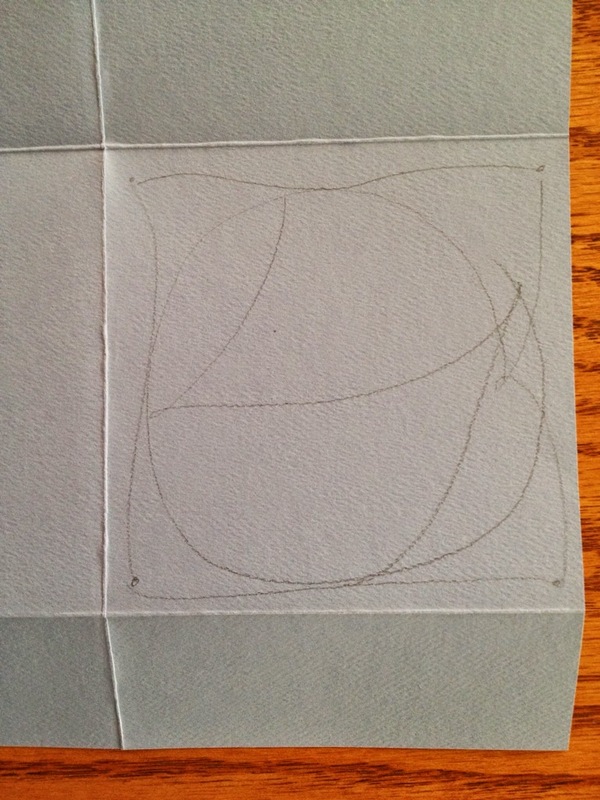 If you saw my post yesterday, you know I'm working on mini-books to hold either ATC cards, or Zentangle tiles. I incorporated this week's Diva Challenge #174, superimposing strings, to adorn the cover of my newest Zentangle tile mini-book. The finished book is 4" x 4" and is made from Strathmore Art Paper. Mine came in a pad of 12" x 18" assorted colors. I cut a sheet of blue down to 11" x 16". It was a little difficult to fold, and the paper is heavy enough that it doesn't want to stay closed, but I'm working on a closure for it. The blue looks awesome, doesn't it? I think storing completed tiles with blue accents including the renaissance tiles, will be an ideal choice. 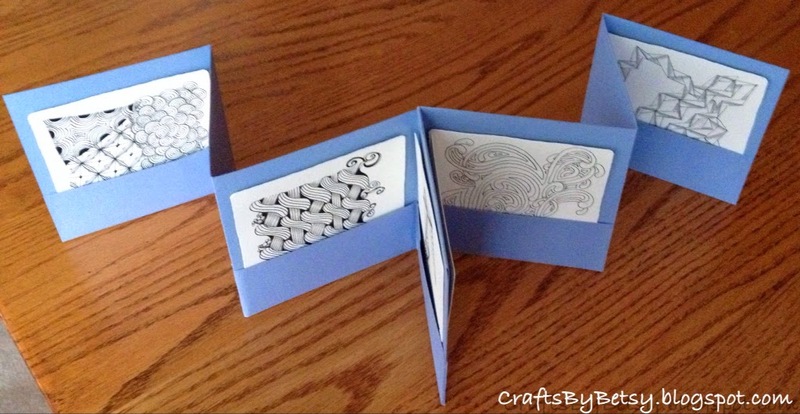 For more on how to make these mini-books, check out this post. 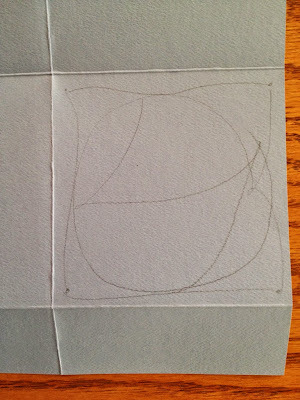 My superimposed string resembles a framed basketball with the mark of Zorro! 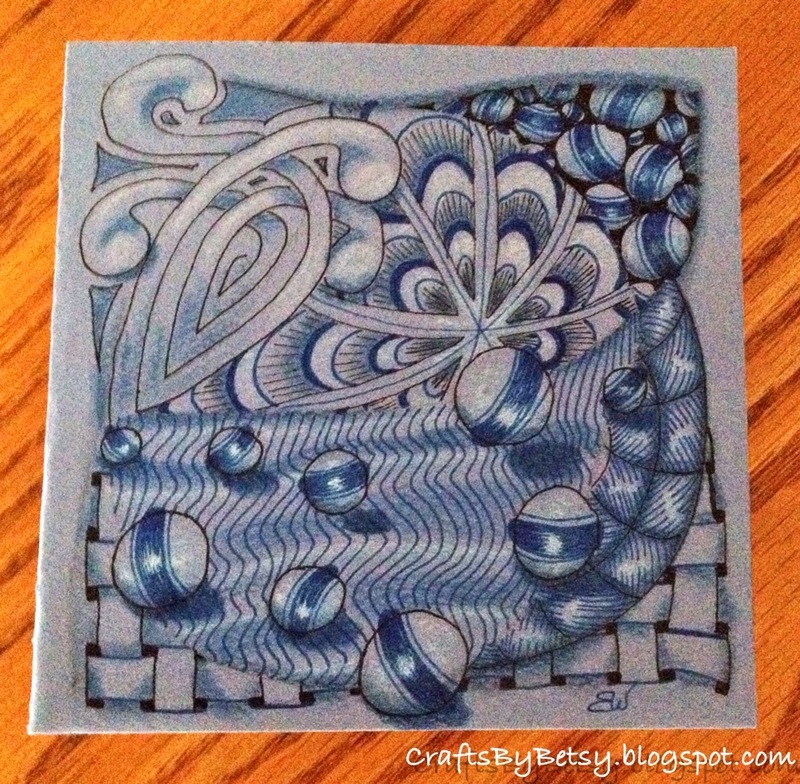 In addition to the string in pencil, I used Sakura Microns in both blue and black. Shading and highlighting was done with Faber-Castell Polychromos Prussian Blue and General's Charcoal White. Beautiful front cover! Can't wait to try one of these myself! This is wonderful Cover art. Love the Jetties. Terrific shading, and color. wow, great highlights.it looks like a fantastic place to me. Great idea and lovely blues. Wonderful cover for this lovely mini-book! I like the blue colour! Nicely done! I love blue! I think you did a great job with your shading and highlights! 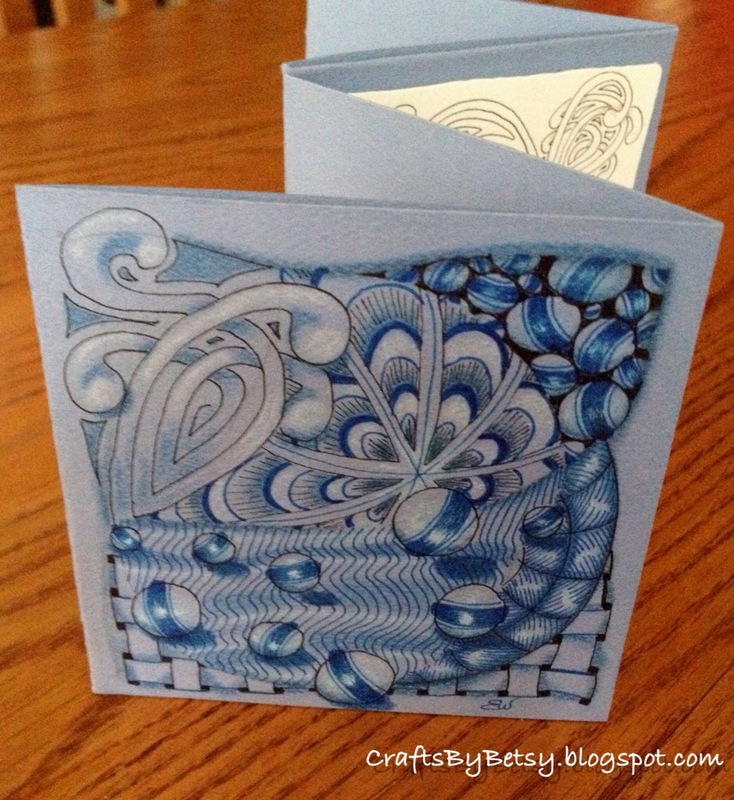 What a fun little book to hold your tiles... Everything is just gorgeous! Nice! The Mooka and the Jetties work very well together. Lovely work and I really like the blue. The blue looks really great. Your Jetties look almost like marbles rolling along.